Don’t make a mistake with translation; words that sound similar can mean completely different things and a wrong translation could lead to embarrassing situations. Communication can be tricky if you’re not familiar with a particular language and this is the primary reason why you should ensure all your translation work is done by a professional linguist. In most cases, proper translation can only be done by qualified, native-speaker translators of that specific language. Translators specialize in exact types of documentation, such as IT, medical, marketing, finance etc. The world we live in is full of vivacious cultures and beautiful languages. To know these languages is a privilege and to be able to speak and write in them is a truly special skill. Translation is all about the right way of communicating. If you want to convey the right message, you need professional translators to ensure no mistakes are made. 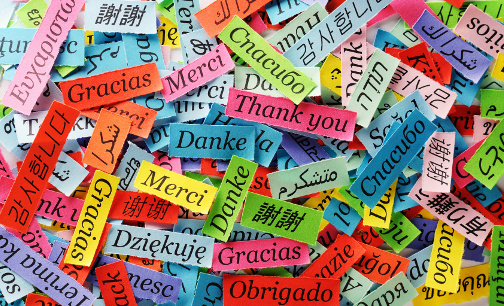 Our expert linguistic services are available for all your translation needs. Don’t hesitate to contact us for any professional translation services, our team includes several qualified translators with excellent and varied language skills.